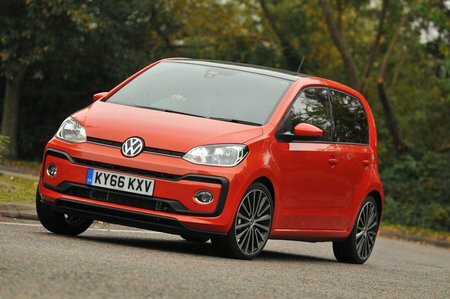 Volkswagen Up 1.0 Up Beats 5dr [Start Stop] 2019 Review | What Car? What Car? will save you at least £500, but our approved dealers could save you even more. The Up Beats is all about enjoying your music. It's based on Move Up trim but adds a 300W, seven-speaker sound system with a subwoofer for punchier bass. You also get the upgraded 5.0in colour infotainment system from High Up, along with 15in alloys and plenty of bespoke styling touches.